The Utah Community-based Conservation Program has committed to host the 2019 Utah All Lands-All Hands Summit. The last Summit, known as the Utah Sage-grouse Summit was last held February 2014. Between then and now, the partners have hosted the International Sage-grouse Forum the fall of in 2014 and the Sagebrush Ecosystem Conference in 2016. Tons have happened since 2014. The US Fish and Wildlife Service (USFWS) determined that the Bi-State and greater sage-grouse populations did not warrant protection under the Endangered Species Act. A Presidential election. The Bureau of Land Management, the U.S. Forest Service, the State of Utah, and other states have also revised or are in the process of revising their sage-grouse plans. Utah also hosted a Wild Horse and Burro Summit in 2017 to bring attention to another looming environmental and economic crisis. In May 2018, a federal judge overturned the USFWS BI-state sage-grouse decision. 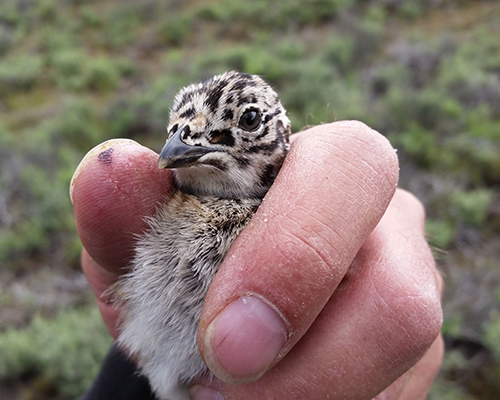 The Western Association of Fish and Wildlife Agencies embarked on writing a range-wide sagebrush conservation strategy that focuses on the landscape to preempt a repeat of the sage-grouse saga for the other 350 species of wildlife that call sagebrush habitat and the communities and people who also depend on this working landscape. To help achieve this end result, the Utah CBCP and our partners are hosting the Utah All Hands, All Lands Summit, at the SLC Downtown Radisson Hotel on Feb 5-7, 2019. The Summit will be starting on a Tuesday afternoon and ending early Thursday afternoon. Please put this date on your calendars. We are planning for about 250 with a nominal registration fee of $100 which include two breakfasts, breaks, two lunches, and materials. Much of the content of the Summit comes from a survey we did last year of the local working groups and conversations held since then. There was increased interest to expand this to focus on more than just sage-grouse, to include the entire sagebrush working landscape. We have been taking your comments to heart.